TTC does enterprise solutions development for all sorts of applications, including finance, banking and insurance, and a number of business processes. The integrated e-Learning and School Management (iLMS) applications involve Enterprise Solution techniques as well. For example, the Human Resources functionalities in the Obafemi Awolowo University (OAU) deployment are entirely of the enterprise type. Other related technologies are listed below. All of the IT-based projects discussed elsewhere in this website require very high-level database design and development experience. The NOUN and OAU projects utilized some of the most advanced database design techniques to ensure that the Database cluster delivered results to the web servers as rapidly as possible by utilizing some of the more obscure indexing procedures, in consultation with Microsoft staff. Most of the implementations discussed previously have been based on MSSQL. However, we have also worked with ORACLE and DB2 systems and our staff are well-versed in the comprehensive use of SQL and stored procedures on those Database platforms. Our enterprise projects require the utmost level of systems analysis and design experience. Our approach to systems design includes significant project planning and design, including documentation of business processes, design of system responses to the processes, top-level approach to user interface design, generation of GUI screens, platform considerations for speed and maintainability, etc. The projects carried out by TTC have also included Change and Project Management. Our approaches to project management, transition, and conversion have been utilized successfully in the various projects that TTC has successfully completed. In addition to services, TTC also markets software, such as the INSTED engineering workbench and AEROFLO computation fluid dynamics software. Both software products began as desktop standalone tools that have been purchased by customers from all parts of the world. As a result, TTC has had a comprehensive Help Desk and Technical Support portfolio, including detailed logging of all support incidence and monitoring of response and quality of support and customer satisfaction. The approach has been useful to our clients, in our systems implementation projects, and in designing successful support infrastructure (i.e., systems) for our solutions.  TTC has been a Microsoft solutions partner for several years. We were early participants in Redmond’s distributed server cluster initiative at Cornell Theory Center in the United States, and have used and helped provide feedback on Microsoft Server solutions for years. We have found this access beneficial in situations where we needed Microsoft staff to help resolve very difficult Operating System issues.